There are so many ways to prevent your plumbing system from malfunctioning, and there are lots of things you can do to prolong your plumbing system’s lifespan. Regular maintenance and inspections annually or biannually are imperative in keeping your plumbing system working to an optimum level. Prevention is important. It will save you money in the in the long run by diagnosing potential issues, such as dented or cracked pipes that lead to water leakage, expensive repairs and devastating damage to property. Also important is to have a reliable plumbing company who are helpful and available, when problems or emergencies do occur. We at HMS Plumbing and Mechanical can help concerning all your plumbing needs, including planned construction and installation. Your plumbing system is a complex one that is best serviced by our professionals. 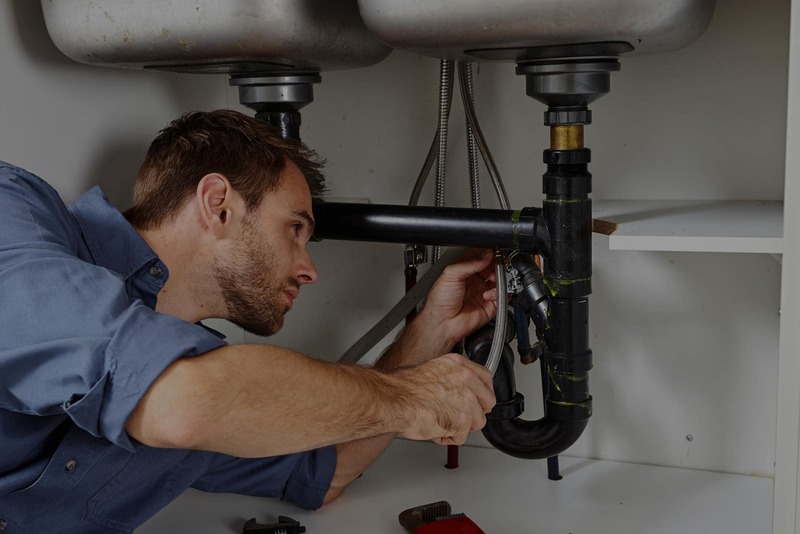 Intricate piping is hidden behind walls and structures of your home and business, and we have the equipment, knowledge, and experience to install, maintain, and repair your plumbing accordingly. Water systems deliver clean, hot and cold water to the faucets, washing machines, dishwashers, and toilets in your home and business. This system consists of a considerable percentage of the cost of your establishment, meaning maintenance and repairs to plumbing systems is very important financially. Potential problems need to be foreseen and quick and competent action taken when things do go wrong. The following information concerns our services at HMS Plumbing and Mechanical and should help you know when to call a plumber. We offer backwater and backflow valve installation in both residential and commercial buildings to prevent unclean water from re-entering the system, and sewage water entering the pipes. There are laws concerning clean water in Ontario that must be adhered to, and you can be further informed of these laws by visiting The Ontario Clean Water Act. We also offer sewer line video camera inspection services that give an immediate and exact diagnosis without having to remove water system parts. Waterproof drain cameras are useful in assessing what the plumbing system is like in the pre-purchasing of a home or business. It is a diagnostic method that doesn’t intrude on the structure of walls, floors, and ceilings. Another service you can count on us for is plumbing fixture repair and replacement. Trying to fix what seems like a simple leak, or installing often complex high-end fixtures is best left to our professionals. Trying to repair things yourself can cause more damage than good, and lead to more costly repairs. At HMS Plumbing, we specialize in the installation, repair, and replacement of high-end fixtures. HMS Plumbing and Mechanicals install, repair, and replace sump pumps that are handy in Toronto structures, as rain, winter thawing snow, and rising lake water can cause unwanted water in the basement. Getting a sump pump before water can enter your establishment and ruin your property, costing money and increasing insurance is advisable. There are several instances indicative of the need for a plumber concerning your hot water heater. We offer repairs, upgrades, and installation. When you want to conserve water, save money, and also consider the environment, we can install an upgraded water heater for you. We can also replace an older, rusted water heater when necessary. A sure sign that your water heater is rusting can be determined by observing brownish water running from your bathroom and kitchen faucets. Modernization and an upgrade are recommended regardless after ten years. Our full list of upgrade services can be found here, at HMS Plumbing and Mechanical. The most common call out we receive at HMS Plumbing, is for leaks. These can be seen at the base of toilets, around kitchen and bathroom sinks, washing machine hoses, or near hot water heaters. Leaks can also occur anywhere throughout the entire system of pipes in your home or business. This means from ceilings, walls and beneath floors. Evidence of a leak anywhere in your residence or workplace requires the attention of a certified plumber. Action taken quickly by our professionals can source the root of the problem, rather than performing a patch up job. On a call out for a clogged or blocked drain or sewer, the benefit of one of our plumbers servicing your water system is that they have specialized instruments to get the job done comprehensively. For instance, one such piece of equipment is a drain snake that will clear your pipes completely, to the farthest depths. 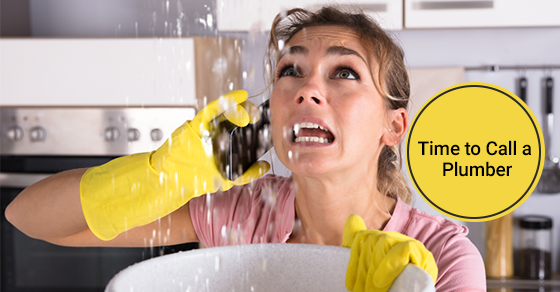 All hair, dirt, and debris are removed without the use of harmful, less efficient liquid drain cleaners. Possibly the most important service HMS Plumbing can do for you is to carry out a Radon Gas inspection. Radon comes from the ground, seeping in around holes dug for pipework. Radon Gas can cause lung cancer after prolonged exposure. By assessing where the filling is needed around basement pipes to keep this radon out, our plumbers can literally save lives. Last but not least, we can install Hydronic Radiant Floor Heating in your home or other space. If you haven’t heard of or are curious to know more about hydronic heating, you can do so by visiting Government of Canada Hydronic Floor Heating. HMS Plumbing and Mechanical’s professionals are readily available for any of the above services, or for any plumbing emergency that may occur. The importance of calling a professional is clear. We offer services that you would not otherwise have access to, and prevention in the form of regular inspections saves money if not lives. For further information on HMS Plumbing and Mechanical’s services, contact us here or call us at 416-894-9490.